In this engrossing memoir, author Thorndike (Anna DeLaney&apos;s Child, Another Way Home: A Single Father&apos;s Story) tells a touching story of family, death, discovery and devotion, in which Thorndike probes his journalist father&apos;s accomplishments and losses, his relationships and his wife&apos;s tragic suicide. When his father Joe Thorndike, suffering at age 92 from congestive heart failure and the onset of Alzheimer&apos;s disease, can no longer take care of himself, Thorndike offers to live with him. Over the following year, Thorndike chronicles his father&apos;s growing incapacity, and seeks to learn more about him despite the dying man&apos;s lifelong all-but-impenetrable reserve. 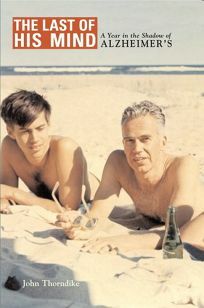 While much of the book details Thorndike&apos;s difficulties caretaking for his father, he heightens the proceedings with family tales, including some from his father&apos;s editorial work at the heyday of Life, working with bold named figures like the Luces, Whittaker Chambers, James Thurber and Winston Churchill. A beautiful book, this memoir reveals the painful chaos of Alzheimer&apos;s, as well as the strength, faith and unexpected joys that come with caring for a loved one in his last days.